IDS Fulfillment is one of the services of Integrated Distribution Services (IDS), a company that provides business owners with an integrated order fulfillment solution for their eCommerce stores. Its services include picking and packing, kitting, multi-channel order fulfillment, as well as food-grade storage and shipping. As of the date this article was written (09/17/18), there are no up-to-date user reviews of IDS Fulfillment online. If you are a past or current IDS Fulfillment customer, leave a review to help other business owners who are deciding whether or not to use their services. 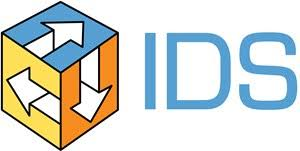 IDS Fulfillment does not publish its pricing on its website, but similar order fulfillment providers charge fees that range from $0.23 to $0.75 per item, $1.25 to 2.50 per order, and $12.50 to $40 per pallet for picking, packing, and inventory storage services, respectively. Check out the list below of some of IDS Fulfillment’s features. Does IDS Fulfillment offer interested users with a free demonstration to learn more about their services? Yes. Interested users can contact IDS Fulfillment’s support team to schedule a free consultation and product demonstration, as well as to request for a free quotation. What are the industries that IDS Fulfillment caters to? IDS Fulfillment caters to the order fulfillment needs of clients belonging to various industries, such as apparel, food and beverage, health and beauty, nutraceutical and medical, jewelry, shoes, home accessories and furnishings, toys and games, and electronics. This video provides an overview on what IDS Fulfillment can do to help businesses improve their order fulfillment processes and delight their customers with efficient shipping transactions. Not sure if IDS Fulfillment is the right fit for you? Read our reviews of all top order fulfillment service providers.